We've helped over 13,000 people! Celebrate with us. Special pricing on the TN Kit. A comprehensive guide so you understand the process, avoid mistakes and don't get denied. Save Money, No Lawyers. Create a professional and valid TN Application yourself. The Immigration Officer has the final say. Know what to expect and how to prepare for the border. By following the step- by-step procedure, you can be sure of 100% chance of success. I got my TN Status after applying at Pearson Port of Entry in Canada. I am so grateful for ordering the TN Status Application Kit last January. By following the step- by-step procedure, you can be sure of 100% chance of success. I'm so happy. I am now working in San Jose, CA. Thank you very much. Most TN Visa applicants are wondering what is the future of NAFTA and how does it affect them? Should you apply for your TN1 visa or wait? 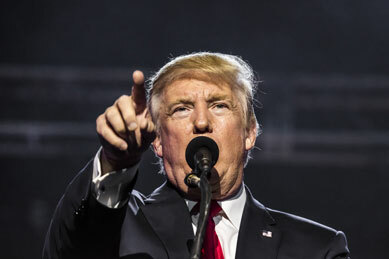 Are you going to have problems if you are working in the US and President Trump decides to leave NAFTA? 20% of people get denied their TN Status. Don't be one of them. Since 9/11 and other various terrorist attacks, Immigration Officers have been scrutinizing TN1 Visa Applications much more carefully. This doesn't mean it's impossible to obtain this visa, it just means that you need to ensure your application is valid, professional, and most importantly, that you are well prepared for the border interview. The TN Kit shows you how. The TN Visa (or TN Status) is a temporary working permit allowing Canadians, Americans and Mexicans to work in the United States, Canada and/or Mexico. It is a visa/permit that can be obtained at the border upon entering the respective country. This is based on NAFTA, the North American Free Trade Agreement. How Much is a TN Visa? The cost to get a TN Visa varies depending on whether you are applying at the border or mailing in your application. The cost of applying at the border is $50 and $6 for the I-94 fee. Completing the application by mail costs $325 for the I-129 Form. How Long is the TN Visa Valid For? The TN Visa or TN Status can be obtained for as short as 1 day and for as long as 3 years. The best part is it can be renewed as many times as you want. You just have to ensure you have a valid application, that you qualify under NAFTA and your job continues to qualify. Will My Application be Denied? Applications are denied because you have not clearly shown how you and the job meet the NAFTA requirements. In most NAFTA Occupations, the applicant will need to address the educational requirement and/or work experience. Another important aspect of avoiding being denied is showing how the job meets the NAFTA requirements. This included the job duties, eductional requirements, various other details as specified by NAFTA. If done correctly, it is also the reason why the job title is not as critical as many people think. The next important factor is to ensure you have the correct supporting documents. Originals and copies should be gathered to be presented at the time of applying for the visa. Finally, being prepared for the border interview. Many people think this is a matter of presenting the application documents, but an Immigration Officer can take this opportunity to ask questions to verify the validity of the application. If you do not answer the questions correctly, they can deny your request for the visa, so be prepared. The TN1 Visa Kit provides you the information you need during the interview so the employer is not concerned about your visa and that you are a foreigner. The employer will hire you based on your skills and because the TN Kit shows you what to do during the interview when the employer asks you questions about this. The TN Kit shows you everything you need to create your TN Application. Plus it takes you one step further and prepares you for the border interview, provides you sample letters and a Custom Letter for your specific NAFTA Occupation. 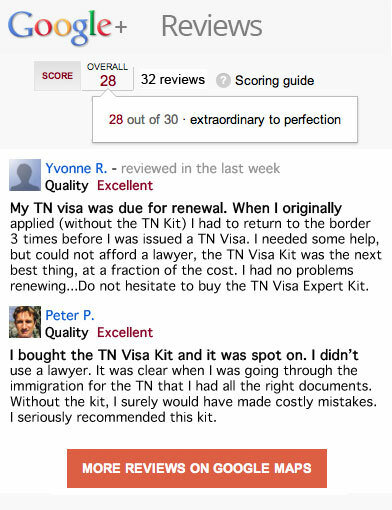 The TN1 Visa Application Kit has been created by lawyers so its accurate and precise. Moreover, lawyers are purchasing this Kit to use for their clients. It has all the information you require to quickly and easily create a valid TN Application. It prepares you for the border interview, it provides custom sample letters for every NAFTA Occupation, step by step instructions and more. Customer satisfaction is our first priority. We are confident in the effectiveness of the products we offer. If you purchase the TN Kit and are denied your visa, contact us and we will gladly refund your money. If I am getting a fulltime job, do I need to have my employer specify in my contract it is only for 3 years due to the TN requirement? Should I ask my company to renew my TN offer letter and give the new offer letter to the officer at the border? Or should I give the officer the original offer letter?